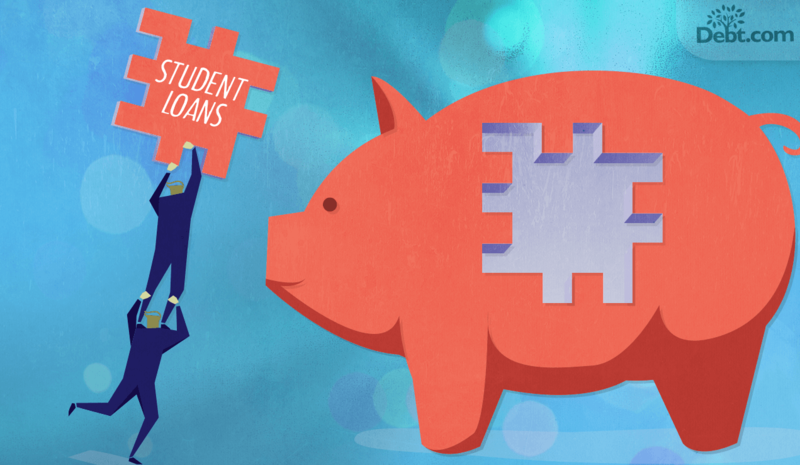 How to consolidate private student loans so you can pay them off faster. Fact: Only about 6% of all student loan borrowers have at least one private student loan. What is private student loan consolidation? A private student loan is financing that you get through a bank, credit union or other private lender. Loan qualification and the applied interest rate are typically based on your credit score. That’s different from federal student loans you get by completing your FAFSA. For those, qualification is need-based and the interest rate is set according to the 10-year Treasury Note Index. Building on that, a private consolidation loan for student debt comes from a private lender. It works similarly to a credit card debt consolidation loan. You qualify based on your credit score for a loan amount that’s large enough to pay off your existing loans. The funds pay off your existing loans, leaving only the new loan to pay off. What are the benefits of private loan consolidation? You choose a loan amount large enough to pay off all the existing student loan debt you wish to consolidate. In most cases, the lender will request information on each loan, such as the current balance and servicer name. The term of your loan depends on your budget and how much you can afford each month. Once approved, the lender will typically disburse the funds to the servicers you listed. This pays off your existing loans, leaving only the new loan to pay. This can be an extremely useful form of school loan debt relief. And it doesn’t just apply to private student loans either. You can use this type of consolidation for federal loans, too. But it’s important to understand the benefits and consequences of doing so. True or false: Consolidating federal loans with a private consolidation loan makes you ineligible for loan forgiveness. Note: Once you convert federal loans to private, you are no longer eligible for federal student debt relief programs. That includes the Public Service Loan Forgiveness (PSLF) program. Private lenders will be more than happy to include your federal student loans when you consolidate. However, this isn’t always the best decision. Once you pay off federal loans with the consolidation loan, the debt effectively become private. That means you are no longer eligible for federal relief programs, this includes hardship-based repayment plans and PSLF. 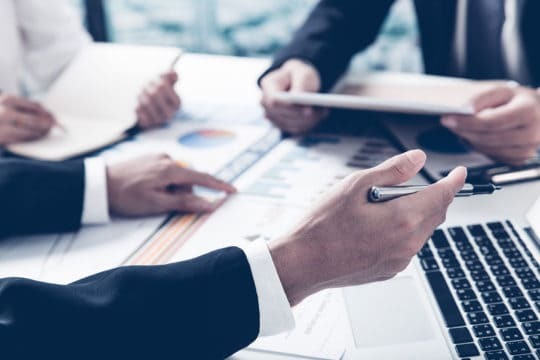 Still, there can be some major benefits to converting your debt and in the right circumstances, it may be your best option. Why? Federal loan consolidation doesn’t always reduce the interest rate applied to your debt. You can choose your term, instead getting the term the government chooses for you. You don’t have to worry about recertifying each year, which you must do with federal programs like the IBR. Private loan servicers may offer better customer service than federal servicers. If you have a high credit score then the biggest benefit, by far, would be the interest rate reduction. Federal loan rates are not credit-based; you’re at the mercy of the rates set by the Federal Reserve. The new rate on a Federal Direct Consolidation Loan is set by taking a weighted average of your existing rates. So, whether you have terrible credit or perfect credit, your rate would be the same. This means that people with excellent credit can benefit from private consolidation because it can reduce your rate. In addition, you can also set the term on the loan. With federal loans, the term for non-hardship plans depends on how much you owe. With hardship-based plans the term is almost always 20-30 years. That’s a long time to pay off your debt; it’s equivalent to a traditional mortgage. With a private loan, you choose the term that works for your budget and goals. You and the lender find a monthly payment that you can afford and go from there. That kind of flexibility is a big advantage. If you enroll in a hardship-based repayment plan, you must recertify your income and family size each year. Otherwise, they kick you out of the program. Unfortunately, federal loan servicers aren’t known for great customer service (that’s the last point). You might expect they’d contact you to recertify, but that’s not always the case. So, with federal programs, it’s up to you to stay on top of recertification so you can stay in the program you need. There’s no such thing with private loans. In addition, overall private servicers tend to offer better customer service. Namely, because you are their customer and it’s in their best interest to keep you happy. On federal loans, they are literally private student loan servicers chosen authorized by the federal government. In other words, the federal government is essentially their customer, so they don’t care as much about keeping you happy individually. Anyone who can qualify for Public Service Loan Forgiveness should think carefully before converting their debt. This program erases your remaining balances without penalties after 10 years on a repayment plan. That can dramatically reduce your total costs and time to payoff. If you convert your debt, you no longer qualify for PSLF. You should also consider your income level and job security carefully. The nice thing about hardship-based repayment is that the monthly payment changes based on your current income. If you lose your job and have no income, you may actually pay nothing and still have payments count as qualified. If your financial situation changes with a private loan, it’s different. Only some private lenders offer deferment or forbearance options. And if you want a lower payment, you would have to modify the loan or reconsolidate. If you’re not sure what path to choose to reach zero on your student loans, you should find a qualified professional. They can help you weigh your options so you have peace of mind that you made the right choice. Article last modified on April 18, 2019. Published by Debt.com, LLC .